So you want to make more money? Are you going to try to increase your salary, or are you going to try to find better investment opportunities in the stock market? One often forgotten way of making more money is to cut the expenses one has each month. It is often less riskier to cut the expenses compared with trying to make more money from the stock market. If you find a way to save $100 each month - you are more certain to get those money each month - compared with if you want to make $100 each month from the stock market. The largest costs each month probably comes from your house - but you also need somewhere to live. But do you really need a large house you can't really use since you are working all day and sleeping all night? When are you going to use the extra space? Why not embrace the art of living small? If you are looking for inspiration on the art of living small, you should travel to Japan. They don't have much of a choice since Japan is a crowded country and large parts of the country consist of terrain where you can't really construct buildings. One person who preferred the art of living small was Steve Jobs. He enjoyed to study Zen Buddhism and learned that it was important to avoid attachment to material objects. Our consumer desires are unhealthy and to attain enlightenment you need to develop a life of non-attachment and non-materialism. Material possessions often clutter life rather than enrich it. 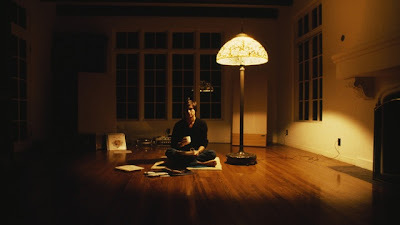 One can find a famous picture of Steve Jobs in his first house without any furniture. In the house he only needed a chest of drawers and a mattress in his bedroom, a card table and some folding chairs in the dining room. He only wanted the things he admired. "Digital nomads are individuals that leverage digital technologies to perform their work duties, and more generally conduct their lifestyle in a nomadic manner. Such workers typically work remotely—from home, coffee shops and public libraries to collaborate with teams across the globe." "One of my biggest clothing realizations was that I really didn't need more than two pairs of trousers: just a pair of jeans to wear every day and a second pair of light water-resistant trousers that could be worn on a beach, or while I was washing my jeans." "I still like to read on paper, rather than on my laptop screen - but I have a rule that I never carry more than one book at a time. Instead I'll buy a new book, read it and then, after scribbling a short message in the front - 'hope you enjoy this book...' - I'll leave it behind for someone else to enjoy. Often I'll include my email address to see if anyone replies." "I never carry shampoo, shower gel or any of that stuff. There isn't a hotel in the world that doesn't provide it."